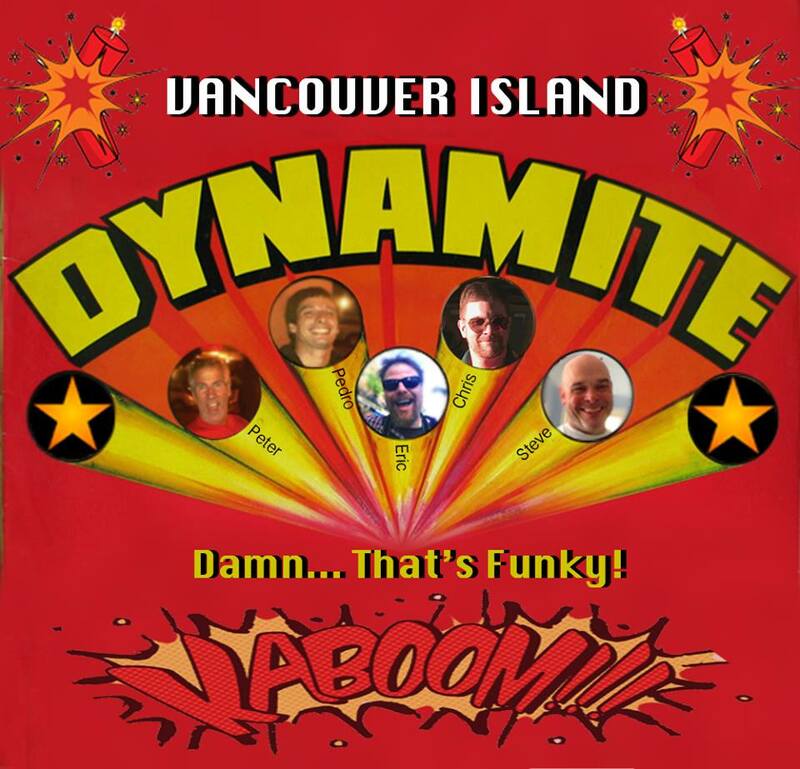 Vancouver Island Dynamite – THE GODDAMN FUNKIEST THING ON VANCOUVER ISLAND! THE GODDAMN FUNKIEST THING ON VANCOUVER ISLAND! KABOOM! Just like that, it exploded. Its GROOVING debris, spreading FUNKY shrapnel all across the island. Hell yeah! It’s VANCOUVER ISLAND DYNAMITE! Saxophonist Eric Hughes lit the fuse to this GROOVE depot and it’s thundering in some blazing instrumental FUNK that combusts into smouldering SOUL and smoking JAZZ. So, you best run for cover, because VANCOUVER ISLAND DYNAMITE is going to blow it all to kingdom come!